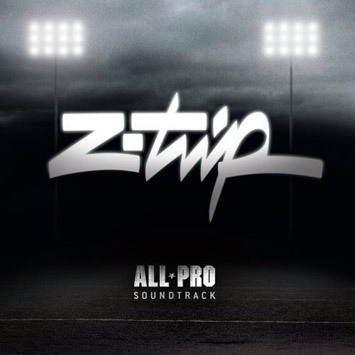 New York, NY – June 5th, 2007 – 2K Sports, the sports publishing label of Take-Two Interactive Software, Inc. (NASDAQ: TTWO), today announced that All-Pro Football 2K8 will feature a DJ Z-Trip produced soundtrack with all original tracks, remixes and mash-ups. Z-Trip, the famed originator of the mash-up craze and renowned remixer and producer, has given a twist to the art of combining disparate songs by having the Dead Prez provide an all-new rap over a rocking Deftones’ track. He also mashes up Rakim with Chevelle, while remixing "Tom Sawyer," the classic Rush song. In addition, Z-Trip has amassed a number of critically-acclaimed artists to compliment his songs, including Slug from Atmosphere, Aceyalone, and Casual, among many others. A summer Z-Trip tour is also being planned to correspond with the launch of the game and Decon Records’ retail version of the soundtrack. "Since 2K Sports’ All-Pro Football 2K8 is taking football to the next level with landmark gameplay innovations, we wanted the soundtrack to reflect the latest in music innovations," said Tim Rosa, 2K Sports’ Director of Brand and Lifestyle Marketing. "The logical step was to sign DJ Z-Trip, who has literally pioneered the art of the mash-up and set the standard for quality remixes. We’re proud that our games and soundtracks have paved new roads in the video game industry and we expect to see others in the sports video game space continue to follow our lead." Doing more than 100 shows a year, Z-Trip is one of this generation's biggest DJs and is known as the founding father of the mash-up movement. Adding credibility to this hybrid art form, Z-Trip's major label debut "Shifting Gears" was given 4 stars by Rolling Stone—it's highest honor. This summer he will be hitting the road again, but in support of All-Pro Football 2K8’s soundtrack, which will be available both in the game and at CD stores across the country. "One thing I really appreciate about 2K Sports is they take chances when it comes to their music selection, and I'm all about that," said DJ Z-Trip. "Working on the All Pro Football 2K8 soundtrack gave me the opportunity to really mix things up. The music fits perfectly in the game, making you want to nod your head and tackle someone at the same time."